Avondale's VET courses provide students with the necessary practical experience and ability to be able to adapt their passions and circumstances into job opportunity. Outdoor Recreation courses and the Music Studio Teaching course see students graduate with nationally recognised training qualifications enhancing employment opportunities and providing pathways into further study. to empower exploration and discovery. 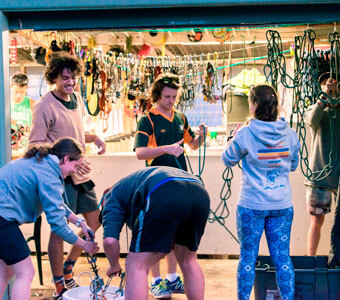 Avondale's Outdoor Recreation courses provide nationally recognised competency-based training qualifications which are designed to equip you for employment in the outdoor recreation, tourism and education sectors. Unsure where an Avondale VET Course can take you? Use our profiling tool to help you find your ideal career. The VET sector provides its students with practical, hands-on experience and the opportunity to create their future around their area of interest.